Huge Savings Item! 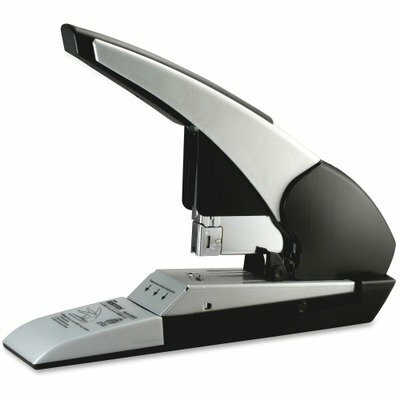 Save 13% on the BOSB380HDBLK - Stanley Bostitch Heavy-Duty Stapler by Bostitch Office at Easy Blogging Tip. SKU: COUBOSB380HDBLK. MPN: BOSB380HDBLK. Hurry! Limited time offer. Offer valid only while supplies last. Staples 2-180 sheets with just one staple size. NoJam mechanism. Bi-material handle design, locking paper stop and push-button magazine release. View More In Heavy-Duty Staplers. Staples 2-180 sheets with just one staple size. NoJam mechanism. Bi-material handle design, locking paper stop and push-button magazine release. Front loads heavy-duty staples. Package includes 800 custom staples. Stapler Type: Heavy-Duty Desktop Type of Staple Used: Heavy-Duty Chisel Point Sheet Capacity: 180 Staple Loading: Front.